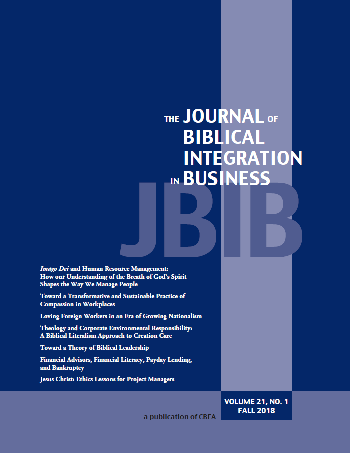 In this paper, we use theological development to help understand why biblical literalists, particularly those American evangelicals who believe in a literal interpretation of the Bible, are less likely to engage in Corporate Environmental Responsibility (CER) than other religious people. The hermeneutic we employ is a historical-grammatical method of exegesis to show that biblical literalists should actually care more for the environment than non-biblical literalist due to the creation care mandate found in Genesis 1. While religion has been studied in organizations, the research often focuses on outcomes of religion in the workplace or on firm level outcomes in the aggregate. We offer individual theology as a possible causal mechanism behind the influence that religion has on individuals and organizations. Theological beliefs influence individual behaviors, and understanding this process has implications for organizations. We discuss generalizability to those of differing faiths and non-religious individuals. We also discuss implications of increased creation care through CER for organizations.